Our mission is to help every child to understand and master math, because it will change their world. 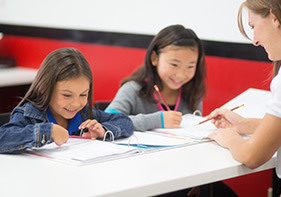 Starting in 2002 with one Mathnasium Learning Center in Los Angeles, we’ve grown to over 1000 locations in communities around the world. Every day, we work to transform the lives of our students. 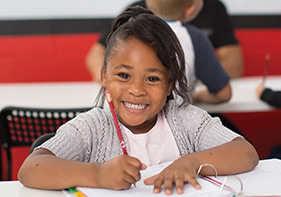 Mathnasium gives students the solid math foundation they will build upon forever. We do this through the Mathnasium Method™, a highly individualized approach with a proven curriculum, honed over decades of experience. Our comprehensive assessment pinpoints exactly where an individual child’s strengths and weaknesses lie. Then our caring instructors meet kids right where they are, teaching in ways that make sense to them to fill in foundational gaps and take them beyond what they thought possible. We provide the best math education expertise with proven instructional techniques. Thousands of testimonials from parents and children illustrate the difference we make in their lives and in our communities. Everyone brings their own strengths to Mathnasium. 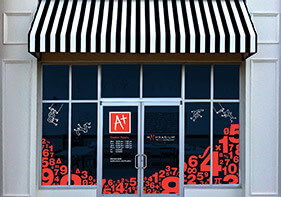 The backgrounds of our franchisees vary greatly—from engineers and accountants to educators and entrepreneurs. What you don’t know, we’ll teach you. The Initial Franchise Training is comprehensive. Training includes a combination of online courses, classroom instruction, and hands-on experience at an operating Mathnasium Learning Center through our apprenticeship program. You’ll learn how to use our suite of tools to build your business. We cover marketing, lead generation, education, customer relationship management, and most importantly, we’ll teach you the Mathnasium Method™. Throughout the life of your franchise agreement, support will be there whenever you need it. From Start-Up Specialists (SUS) and Field Business Consultants (FBC) to regional training and annual conventions, you’ll have everything you need to run and grow your business. Our centralized support team is just an email away and you’ll be able to share best practices and get great advice from our outstanding franchise owner community. Are You Ready To Join The Mathnasium Family? 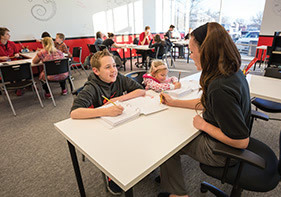 Mathnasium is currently accepting inquiries from the following states: Alabama, Arizona, California, Colorado, Connecticut, Florida, Georgia, Hawaii, Idaho, Illinois, Indiana, Kansas, Kentucky, Louisiana, Maryland, Massachusetts, Michigan, Minnesota, Mississippi, Missouri, Nebraska, New Hampshire, New Jersey, New Mexico, New York, North Carolina, Ohio, Oregon, Pennsylvania, Rhode Island, South Dakota, Tennessee, Texas, Utah, Virginia, Washington, Washington, D.C., Wisconsin.